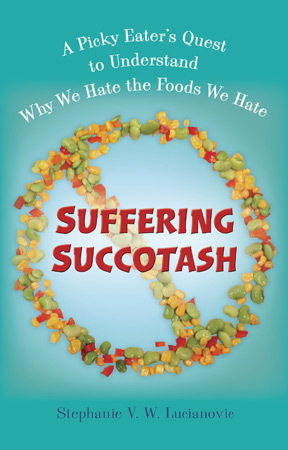 I'm dangerously close to getting sick of SUFFERING SUCCOTASH, so it's time to switch gears a bit here and talk about Cheryl Sternman Rule and Paulette Phlipot's new cookbook RIPE. 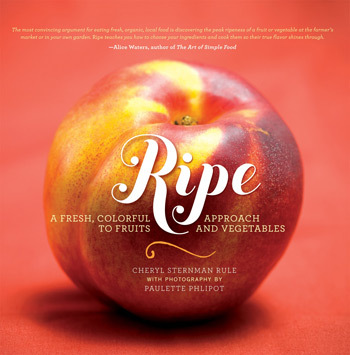 When I finally secured my copy of this gorgeously heavy cookbook (RIPE is in its FIFTH printing, people! ), I knew it would be a struggle to say something unique about it -- something that hasn't already been said elsewhere. Here goes: I like this book when it's closed. No, seriously, check out this view -- how awesome is that? I was so taken by that discovery, that it seemed almost sacrilege to ruin such a perfect view by, you know, actually opening the cookbook. However, I was well aware that even more goodies awaited me inside. Once the book is open, the first things you see, of course, are Paulette's photographs that are so ravishing, I itch to rip out every image and frame it for my kitchen. Once you get past being dazzled by dirt-dusted radishes (who knew dirt was so photogenic?) and a green apple with a single Snow White-ian bite taken out of it, you can immerse yourself fully in Cheryl's witty, engaging prose where she manages to turn every ingredient into a short story. Unfortunately, because I have been busy and also had a tireless toddler underfoot, it's been difficult for me to do more with RIPE than just quickly flip and scan a few of the 75 recipes and 150 photographs. 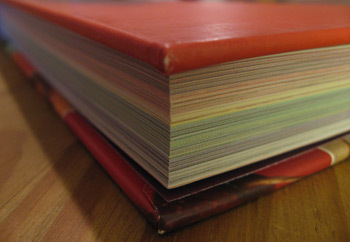 I prop the book up in my kitchen cookbook stand and read a few snatches each day. I know I'll cook from it one day, but lately I've just been taking small sips of it. Enter my tireless toddler who insisted I read RIPE to him before his nap today. As all parents know, a toddler reading session isn't complete without constant interruptions consisting of his observations about the book being read. This time, as we shuffled through the jewel-toned pages and talked about what we saw, Bug's stream of interruptions took the form of a shopping list. "I wan' raspberries and blueberries, Mama, oh-KAY?" "Okay, we'll get them next time we're at the store, Bug." "I wan' raspberries and blueberries and blackberries and strawberries, Mama, oh-KAY?" "I wan' raspberries and blueberries and blackberries and strawberries and kiwi, Mama, oh-KAY?" "Okay. Yes. Fine. Do you want to keep reading?" "I wan' raspberries and blueberries and blackberries and strawberries and kiwi AND CUCUMBER, Mama, oh-KAY?" RIPE: it's not just for adults anymore.